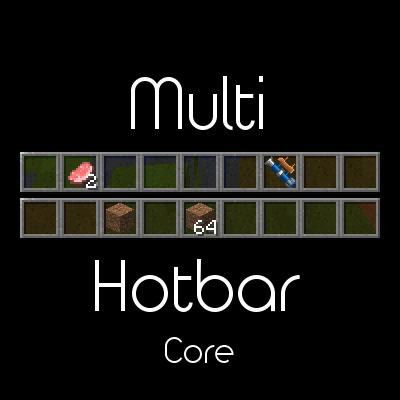 Multi-Hotbar Core is a core mod that increases the player's hotbar size to 36 items. Without this modification Minecraft will not accept a client's request to set the currently held item to a value other than 0-8 (the first 9 slots on the hotbar). This allows for any item in the standard inventory to be set as the current item and thus allows for mods that increase the hotbar size visually on the client. OMG thank you so much I been looking for a mod like this like forever. Required Serverside for clients to use? Disregard -- determined experimentally, MultiHotbarCore is required on Server for Clients to use MultiHotBar.